Russian tea cookies (also called Russian tea cakes) are essentially buttery cookies rolled in powdered sugar not once, but twice. 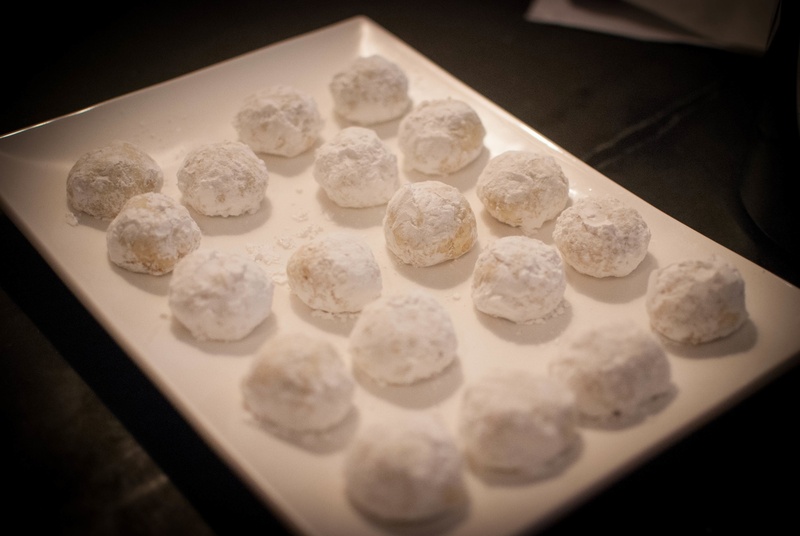 I repeat: buttery cookies rolled in powdered sugar. And maybe that’s why they are one of my favorite treats. The reason could also be that they are so ridiculously simple to throw together. I made them with my friend for our birthday party a few weeks ago using a recipe from Betty Crocker, and they were an absolute breeze. Here’s how we made ’em! 2. In a large bowl, beat butter, 1/2 cup of powdered sugar, and vanilla. 3. Stir in nuts, flour, and salt and mix until the dough comes together. 4. Roll the dough into 1-inch balls and bake on a parchment-lined baking sheet for 10-12 minutes. The cookies should be set but not very brown. 5. Cool the cookies for a few minutes on a wire rack before rolling the warm cookies in powdered sugar. 6. Set them on the wire rack and let them cool completely. Roll in powdered sugar one more time. So simple, so yummy. Enjoy and happy nibbling!